The following tools are available. Standard Operating Procedures are also available. Click on the title of each tool for more information. This manual mask aligner is capable of frontside alignment and backside alignment (using transmitted IR light). The aligner has soft contact, hard contact, and vacuum contact modes. 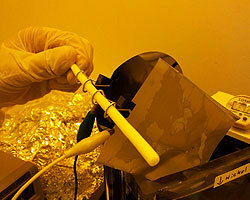 The tool has a 350 Watt I-line Near UV lamp calibrated to 20 mW/cm2 intensity at I-line (365 nm). Additional energy will be present at h-line and g-line bringing the total NUV exposure intensity to approximately 45 mW/cm2 (uncalibrated). It accepts 4" (100 mm) wafers and 5" (125 mm) x 5" (125 mm) x 0.09" glass masks. 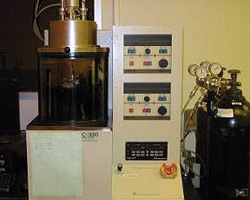 Two manual spinners are used for spin coating photoresist onto wafers. Chucks are available for 2", 4", and 6" wafers and small wafer fragments. Maximum speed is 8000 rpm. 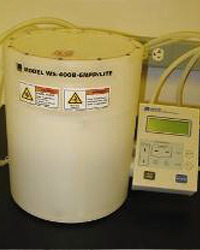 These units can also be used for drying wafers. 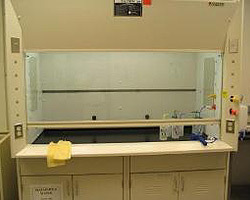 Two fume hoods are available: one for lithography, solvent processing and alkaline chemistries, and one for acid chemistries such as metal etching and electroplating. Only processes with an approved Standard Operating Procedure (SOP) may be conducted in the hood. 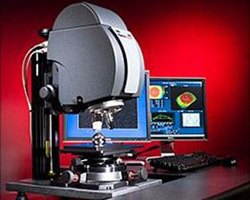 The VEGA3 is a PC controlled SEM with electrostatic beam blanker and DrawBeam software, allowing it to be used for electron beam lithography applications. Direct write e-beam resolution in ebeam resists down to below 100 nm should be possible under good conditions. 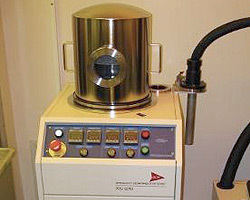 The Nanomaster NSC-3000 allows DC sputtering of metal thin films (Cr, Ti, Au, Al, Ni), including co-sputtering. This tool requires training with the tool owner and formal checkout by the faculty supervisor. 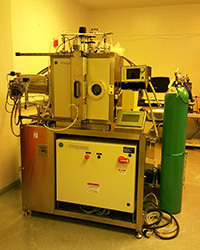 The PDS2010 allows vapor phase deposition of the polymer Parylene (Poly-para-xylylene) type N, C, and D. This tool requires training with the tool owner and formal checkout by the faculty supervisor. The NexDep sputter system is a dual gun sputter-up system with both DC and RF power supplies. It is possible to co-sputter with one gun in DC mode and one gun in RF mode. The platen is heated. 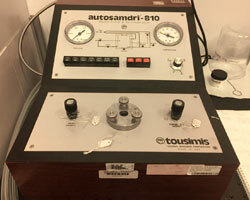 Reactive sputtering is also available with nitrogen and oxygen. 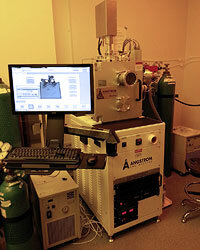 The Savannah system is a very popular atomic layer deposition (ALD) platform. Reactive precursors are sequentially pulsed into the chamber for short periods of time. This allows a single layer of material to be deposited per cycle, resulting in very fine thickness control, high uniformity across the substrate, and conformal depositions. A variety of chemistries are available for different materials. Electroplating of thick films of copper, nickel, and gold using copper sulfate, nickel sulfamate, and gold sulfite plating chemistries. Physical vapor deposition of various metal films. The microfab supplies material and boats for deposition of Al, Ti and Cu. 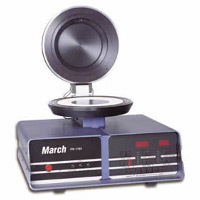 Other materials must first be approved for use in the instrument and supplied by the user. Currently Au and Cr have been allowed, please contact us if you are considering another material. 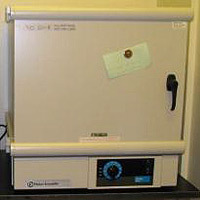 A parallel plate RF plasma etcher with SF6, CF4, and O2 as etch gases. Maximum power is 600 W. Minimum pressure during etch is on the order of 10 mT. This tool requires formal checkout by the faculty supervisor. 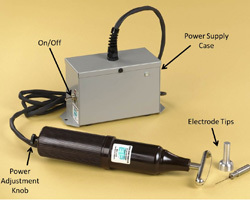 The Corona discharge wand utilizes a high frequency generator to produce a plasma at the electrode tip. Useful in the temporary (on the order of several minutes) modification of certain surfaces - polymers can be modified for better adhesion to glass substrates, hydrophobic glass slides can become hydrophilic, etc. Through the use of high power heating lamps, the SSI RTP can heat samples (wafers, slides) up 1200°C on a time scale of several seconds. The MA1006 die saw is used for dicing silicon and glass wafers into smaller pieces. 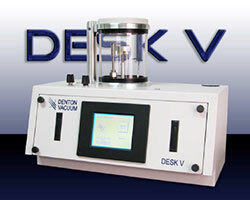 The tool is water cooled and located in the packaging area of the cleanroom. This tool requires training with the tool owner and formal checkout by the faculty supervisor. Critical point drying is used to reduce adhesion failure and collapse of compliant structures with small gaps during the drying process. 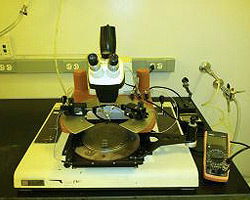 This particular unit is intended for drying MEMS devices after the release step where capillary forces in small gaps can cause irreversible "stiction" failure of the device during drying. 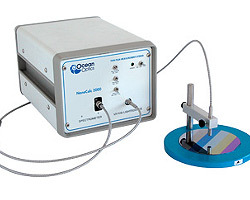 A UV-VIS reflectance-type spectrometer (Ocean Optics Nanocalc) is available. 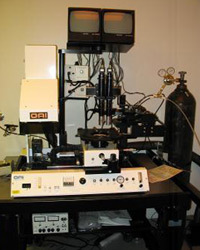 This tool is capable of measuring film thickness of semi-transparent thin films (oxide, nitride, polymer, polysilicon) using a UV-VIS spectrometer and model fitting. 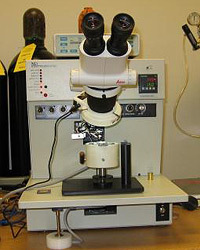 A manual four-point probe used for measuring sheet resistance of wafer thin films. Can display sheet resistance or resistivity (if film thickness is known). Up to 6" wafers can fit in the tool. 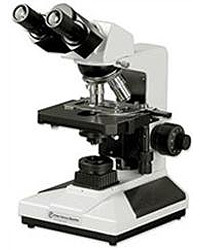 Three reflectance-type inspection microscopes are available. They have 10X eyepieces and plan-achromatic 4X, 10X, 25X, 40X objectives. 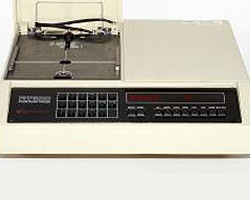 There is a color still camera, a color video camera, and computer image capture. 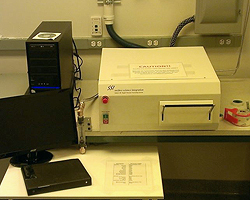 Automated desktop sputter coater suitable for depositing thin metal films (typically Au) on specimens being prepared as SEM samples. Specimens should be mounted on 12.5mm stubs, several can be coated at one time. 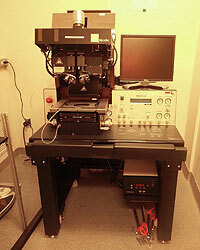 Process will deposit ~15-20nm film. This Oxygen plasma cleaner has a 4" diameter chamber (it can fit a single 4" diameter substrate). 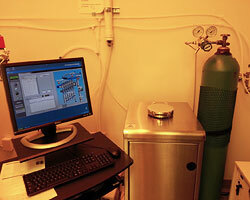 Oxygen plasmas are used for removing organic residues and oxidizing surfaces. It can also be used for PDMS-glass bonding. 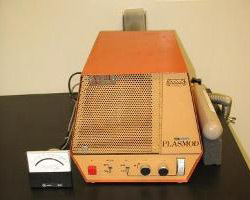 The unit has a 100 W power supply. There are no restrictions on materials for this tool. 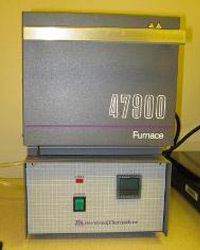 A benchtop muffle furnace is available for annealing samples. The furnace is set up to flow nitrogen for annealing in a nitrogen environment. Maximum temperature is 1000°C. Ramp time is slow (10 mins. up, 1 hour down). Maximum sample size is a 4" wafer. 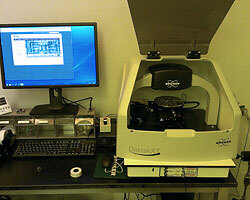 A manual probestation is available for probing pieces and wafers up to 6" in diameter. 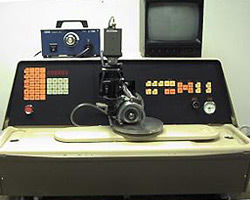 The probestation has vacuum lock and two probes. There is a simple multi-meter for measuring resistance and capacitance. 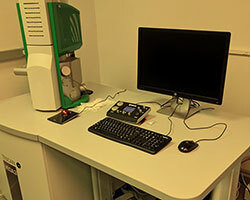 Researchers can bring in additional instrumentation if desired.